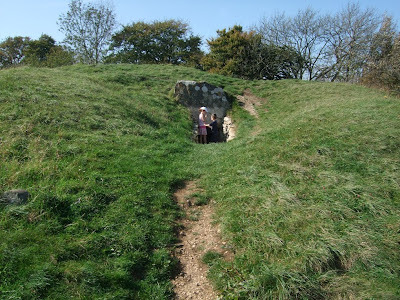 I was going to post these pictures of Hetty Pegler's Tump, a well-preserved long barrow on a hill overlooking the Severn Valley, as part of my series of necropolis pictures in the run-up to Halloween - or Samhain, as pagans call the festival to honour the dead on 31 October. But although 19th century archaeologists discovered 24 skeletons inside this tomb, I can't really think of it as a city of the dead because it is in the middle of beautiful countryside and 24 people are more like a village than a city. So, I think I'll stick with my title of Village of the Dead. I rather like that name actually. Hetty Pegler's Tump is a Neolithic chambered mound and is 37 metres long. 'Hetty Pegler' was its 17th century landowner and the site is named after her. 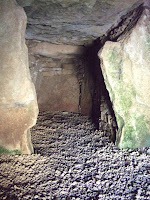 The picture at the top shows the entrance to the long barrow - and two children about to go inside it. They didn't stay inside very long and I'm not surprised because it is quite spooky there. You have to crawl through a very narrow opening on your hands and knees. 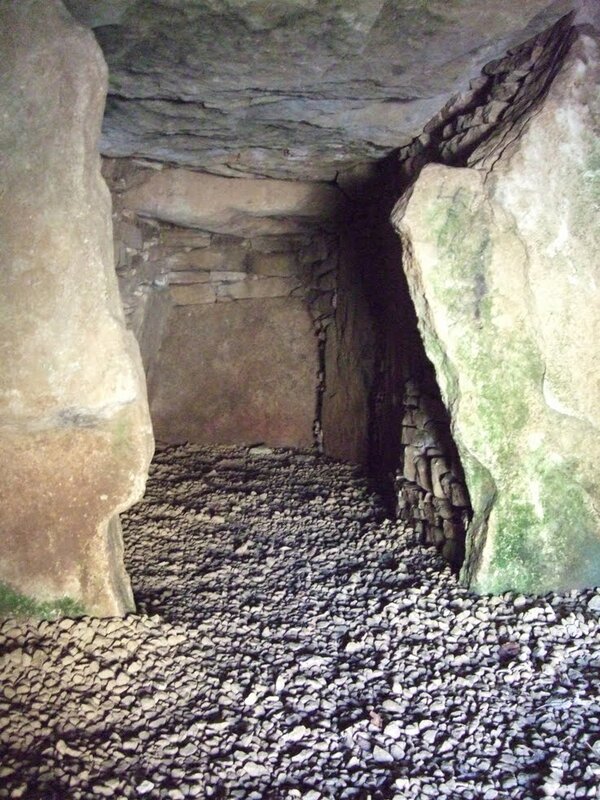 Inside is a passageway and two chambers, which are totally dark unless you have a torch. I visited the site on a summer's day - but I certainly don't think I'd like to be there after night fell - or at this time of year when the veil between the worlds is thin. Tomorrow, Halloween, I'll be posting some more pictures of a necropolis.